Tierney GB Deluzio is a second year law student at Western University. Prior to law school, Tierney completed a Bachelor of Engineering Science, specializing in biochemical engineering, and Master of Engineering Science, with a focus on biomedical applications. 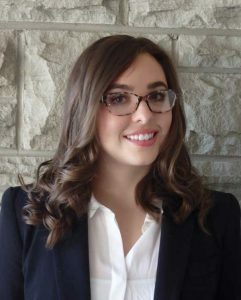 Already a member of the Professional Engineers of Ontario Student Membership Program, Tierney is now looking forward to working in law firm Smart & Biggar’s Toronto office in the summer of 2016.